AIFF president Praful Patel proud to be FIFA Council member! 2019-04-06	General, Worldwide Comments Off on AIFF president Praful Patel proud to be FIFA Council member! FC Goa set Super Cup semifinal date with Chennai City FC after 4-3 Jamshedpur FC win! 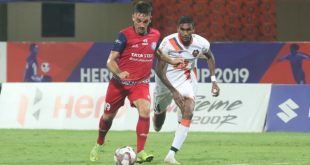 2019-04-06	Indian Super League, Super Cup Comments Off on FC Goa set Super Cup semifinal date with Chennai City FC after 4-3 Jamshedpur FC win! NorthEast United FC’s Puitea: The talented Mizo Football destined for bigger things! 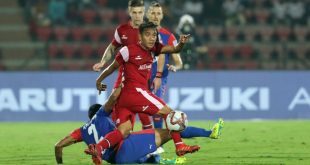 2019-04-06	Indian Super League Comments Off on NorthEast United FC’s Puitea: The talented Mizo Football destined for bigger things! 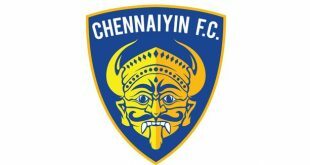 Chennaiyin FC U-15s set for Hero Junior League challenge! 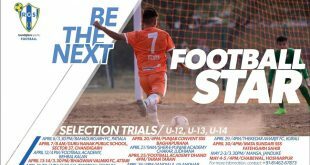 2019-04-06	Indian Super League Comments Off on Chennaiyin FC U-15s set for Hero Junior League challenge! India Women clinch crucial 3-1 win over Nepal in 2020 Olympic qualifiers! 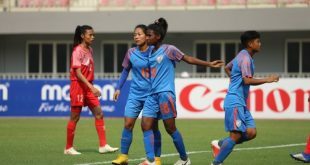 2019-04-06	Asia, Team India Comments Off on India Women clinch crucial 3-1 win over Nepal in 2020 Olympic qualifiers! AFC & FIFA Council elections held at 29th AFC Congress! 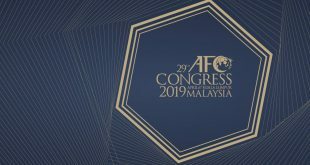 2019-04-06	Asia, Worldwide Comments Off on AFC & FIFA Council elections held at 29th AFC Congress! RoundGlass Sports to hold trials for U-12, U-13 & U-14 boys! 2019-04-06	General Comments Off on RoundGlass Sports to hold trials for U-12, U-13 & U-14 boys! 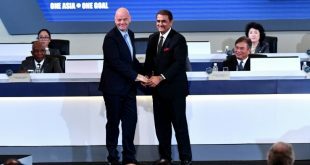 Praful Patel elected India’s first-ever FIFA Council Member! 2019-04-06	General, Worldwide Comments Off on Praful Patel elected India’s first-ever FIFA Council Member! VIDEO – 420 Grams Shorts: Chennai City FC knock Bengaluru FC out of Super Cup! 2019-04-06	I-League, Indian Super League, Super Cup Comments Off on VIDEO – 420 Grams Shorts: Chennai City FC knock Bengaluru FC out of Super Cup!